Open houses are a sure way to to find both buyers and sellers in your marketplace. Many buyers test the market by visiting open houses long before they are ready to buy. Visiting an open house enables buyers to understand what they can afford in specific areas of town and subdivisions. Hosting open houses puts real estate agents face to face with these interested buyers. Sellers also visit open houses. Often they compare their home to houses that are already on the market. Visiting open houses give the seller a baseline for their home and helps them understand what they may get when they sell their home. Some sellers attend open houses looking for a good neighborhood specialist, interviewing agents and quietly observing their skills. 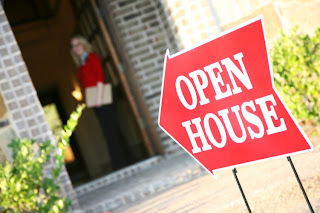 Preparing for an open house properly allows agents to maximize their time at the house by filling their funnel with as many prospects as possible. Here is a list of activities to prepare for an open house. Direct mail invitations to houses around the open house. Using either a direct mail postcard company or other mailer, choose 50 homes near the home. Plan ahead because this may take up to ten day or so to reach mailboxes. Create a phone list to Tell Twenty. Focus on the ten neighbors across the street and the five on either side. Some agents will use phone lists to invite the nieighbors to the open house while others will use door hangers or go the old fashioned route of knocking on their doors. Whatever works to get them to the open house! Focus on Online Marketing Most MLS systems, including www.Realtor.com, now have the capability of posting open houses. Use your company site and personal site to attract potential customers as well. Don't forget to use social media sites like Facebook and Twitter to post information about your open house. Be specific when using Facebook, inviting your local lists of friends. Email blasts are a helpful in generating interest too. Create a single use website or a link to the open house announcement on your mls or something like that. Send the link to your local sphere of influence announcing the open house. don't stop there. Expand your efforts by asking the seller to send the link to heir friends as well. Often people today are involved in groups that have e-bulletin boards for announcements. Think this through thoroughly... there's literally thousands you can touch this way! 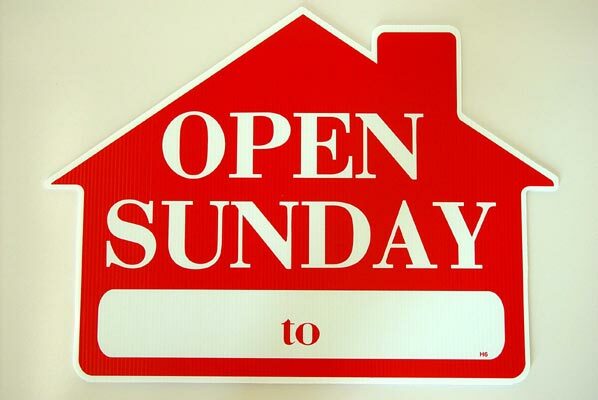 Open House Signs If your area alows yard signs, place an "Open Sunday" sign rider on the yard sign. consider placing ample directional signs the day of the open house as well. Covering an are well can take anywhere from 6 to 10 signs. Folow local ordinances on sign placement and gain permission from neighbors by knocking on doors. Don't forget to give thei neighbors your business card. This list of activities gets people TO the house. What happens next depends so much on you!